On December 3, the Province of British Columbia will be at the Community Centre (5 – 8PM) as part of the consultation process reviewing BC ferries and it’s operations. Many fear that we are facing cuts to our basic ferry services in the face of the review which is focussed on finding savings within the BCFS budget. There are some on the islands who feel that there are more effective ways of operating the routes that service our islands, these options offer significant economic benefits to the island economies, better service and reduced operating costs. All are worthy of consideration as part of the review process. The PDF documents below are a proposal from the citizens of the islands which has been endorsed by MIRRA and several other organizations that offer positive alternatives that would benefit all of the southern Gulf Islands. 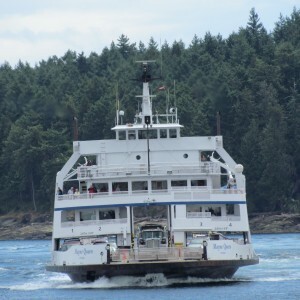 This entry was posted on Sunday, November 25th, 2012 at 7:30 am and is filed under BC Ferries. You can follow any responses to this entry through the RSS 2.0 feed. Both comments and pings are currently closed.